I was privileged to attend the Fun Day recently in Dwyfor, Llwynhendy and had the chance to admire the vegetables that keen gardeners have already grown in the allotments that have only been developed in the last few months by the Llwynhendy Environment Group. I really enjoy my garden, though splitting my time between here and London means that I cannot be at home to cover up tender plants against a late frost or ward off the slugs, so I have to stick to easy-to-grow plants. It is really great to see the revival of interest in allotments which bring together young and old, and provide an excellent opportunity to swap tips and improve on gardening techniques. Llanelli was once known for its heavy industry. 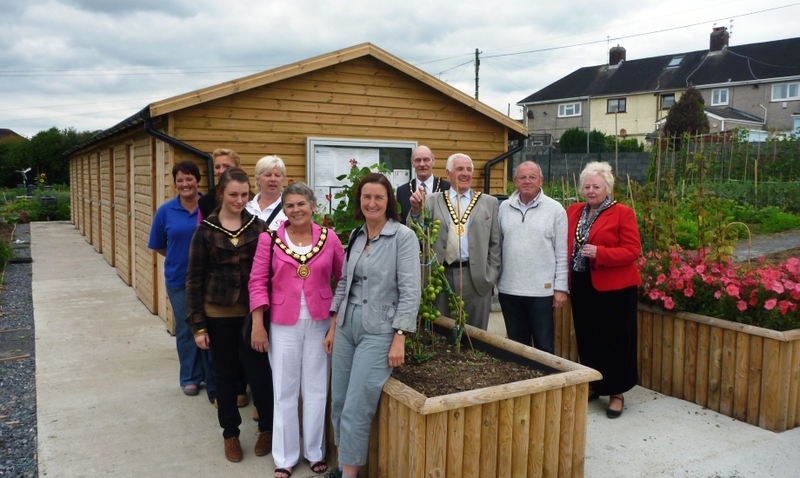 In Llanelli and the surrounding villages, back gardens and allotments flourished. This was before the days when being Green was fashionable. Back then, being green just meant being naïve and inexperienced. In those days growing your own food was a way of adding to the family income and providing tasty and healthy food full of goodness. Looks mattered too, mind. Pride in the produce had an aesthetic element as well. Many of us will have grown up with stories about prize vegetables or exceptional blooms, and they are already on the look-out for the longest runner-bean in Llwynhendy. I know that other groups are trying to identify land and funding to develop allotments, and we should be doing all we can to help them. And, if you have got time, do go up and see Llwynhendy – it’s a real inspiration.